Kwesi Appiah will drop three players after this fixture. He may have an idea about who he wants to cull already although performances in this friendly will surely impact his decision. If Appiah goes along with the conventional wisdom of having two players for every position, then we can expect the three players to miss out to be midfielders. David Accam and Afriyie Acquah are two players who most expect to fall at the final hurdle, and Mubarak Wakaso could join the duo due to poor form, but it won’t be a surprise to see a player considered ‘undroppable’ fail to make a cut. Due to versatility in the Ghanaian set up, a full back’s place may be at risk since Kwadwo Asamoah can fill in at left back in emergencies, so Appiah can afford to take only three. In this case, rookie Jeff Schlupp and Samuel Inkoom will be competing for a spot and at least one will be expected to start. Tactically, Appiah has shown preference to two out-and-out forwards of late. Kevin-Prince Boateng has been listed as a forward in Ghana’s squad list though he will probably be used as a withdrawn forward or even as a third midfielder. I’ve had concerns about Abdul Majeed Waris and Asamoah Gyan playing on the same axis, and Van Gaal’s apparent plan to use a 5-3-2 shape would theoretically negate this with a spare man at the back. It’ll be interesting to see how Appiah asks his forwards to vary their movement in response to this, if at all. How Ghana attempt to break down the Dutch defence when they’re set will be of interest. The Black Stars can be menacing on the counter, boasting more attacking talent than ever before, however they struggle to unlock organised defences. In their last friendly against Montenegro, they moved the ball at too slow a tempo. Lack of width is also a problem. Christian Atsu and Daniel Opare combined nicely on the right in that Montenegro game and some half chances were produced on that side. On the opposite flank, Wakaso tucked in very close to the central midfielders and, with David Addy barely getting beyond him, it was easy for the Montenegrins to keep shape. There’s nothing wrong with using a player narrow in such a manner, Andre Ayew and Kwadwo Asamoah are pretty good in such a role but width needs to come from somewhere. Ghana will have a spare man on the flank, on paper, it’ll be interesting to see if Appiah trusts his full backs, who are all relatively talented going forward compared to the last World Cup cycle, to provide width. Having said all this, having technically superior midfielder’s means the Dutch will dominate and we’ll see if this Black Stars defence is good enough. 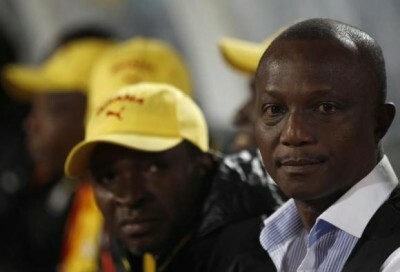 They leave gaps when pressing, a good example being Ghana’s opening match at the last Africa Cup of Nations, against Democratic Republic of the Congo, where Appiah asked his team to press aggressively from a restart and the side conceded a penalty soon after as Congo easily bypassed Ghana’s attempts to pressure them. Appiah’s side aren’t as compact as last time round either as there’s less focus on defensive shape and a lack of a classic holding midfielder. Lastly, the goalkeeper position is still up for grabs. Fatah Dauda has is a serial flapper, Adam Kwarasey may be the most talented of the three available after having a good season in Norway, but lacks confidence when he joins the Black Stars set up for some reason. Adams impressed albeit against a poor GPL select side, but surely a poor performance from Dauda will place doubt in Appiah’s mind? The 6-1 thrashing of an Egyptian side may have inflated people’s opinions of the side so we’ll see how cohesive this side really looks when faced with top opposition. Ghana’s narrow play may have made them the most difficult team to beat in Africa but it’s not going to work because they don’t hog possession. Their strength is indeed midfield and I would suggest(if it wasn’t late) they play 3 at the back and use wingbacks-Kwadwo and Afful- for width but still be packed narrow.